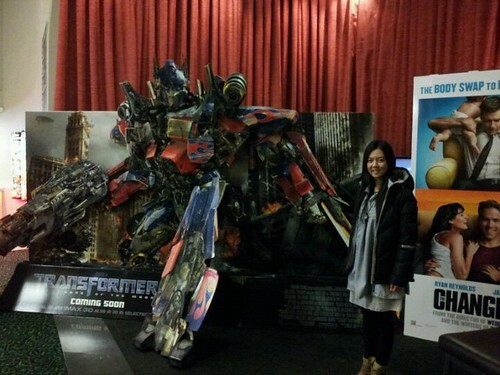 My first movie in New Zealand :D I am a big fan of Transformer xD Watched the first and second. Love it. So I must watch the third wan. IN 3D ! OMG. The cinema in New Zealand is awesome. Huge. Spacious. Comfortable. And of course, the price is also double of price in Malaysia. One thing good here is that we purchase one 3D glasses for only $1.00 and then we can use it for ANY 3D movies in the cinema. Unlike Malaysia, we actually pay the rent for the 3D glasses. I really love the cinema here. I can't touch the front seat chair even though I've stretched my leg straight. The seat is like couple seat back in Malaysia.